Designed to provide comprehensive oral care, the AVANOS* Suction Swabs are part of the Oral Care Kits. 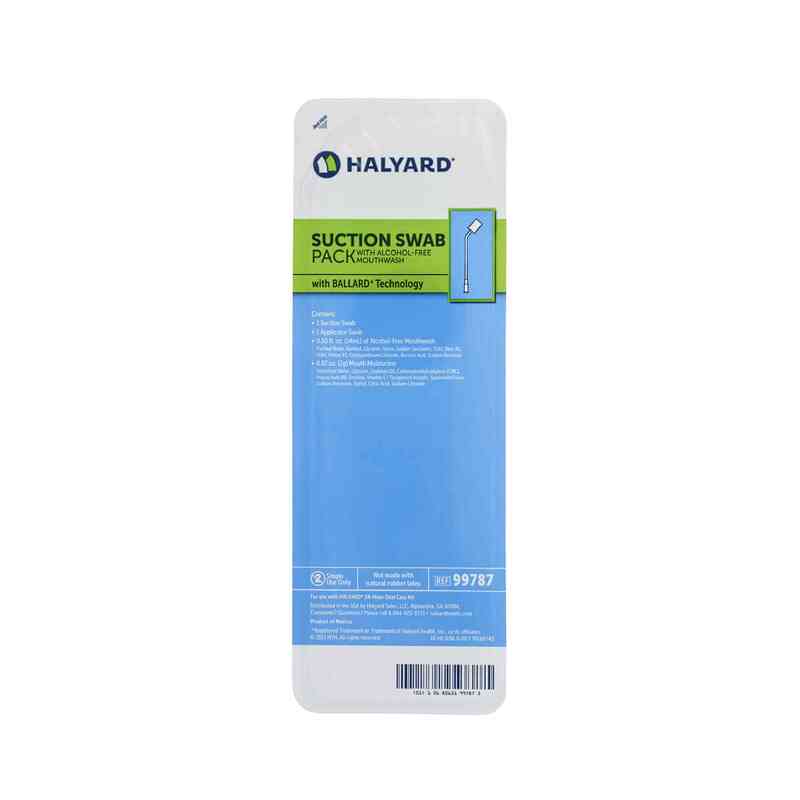 The Suction Swab Packs make oral care easy and efficient. Each Pack contains an oral care suction swab, an application swab and a mouth moisturizer. The BALLARD* Suction Swab Pack with Alcohol-Free Mouthwash is one of the procedure packs available in each kit offering in the AVANOS portfolio of 24 Hour Oral Care kits. It is also available for purchase independently, for use as needed. AVANOS is addressing the known risk factors for VAP by offering a complete portfolio of Oral Care Kits, individual components, and packs designed by nurses for nurses to support both individual patient needs and hospital oral care protocol. BALLARD* Oral Care Kits are complete with everything needed to provide comprehensive and consistent oral care, and are recognized as critical for preventing VAP by such leading healthcare organizations as the CDC, and AACN.